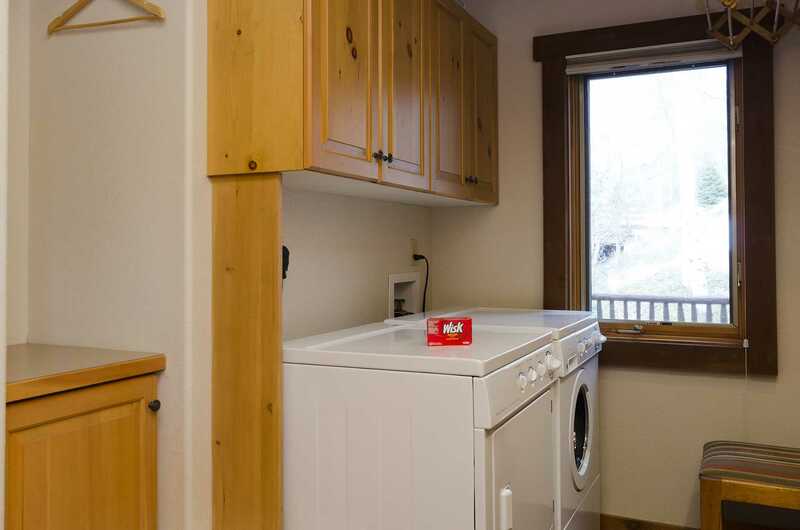 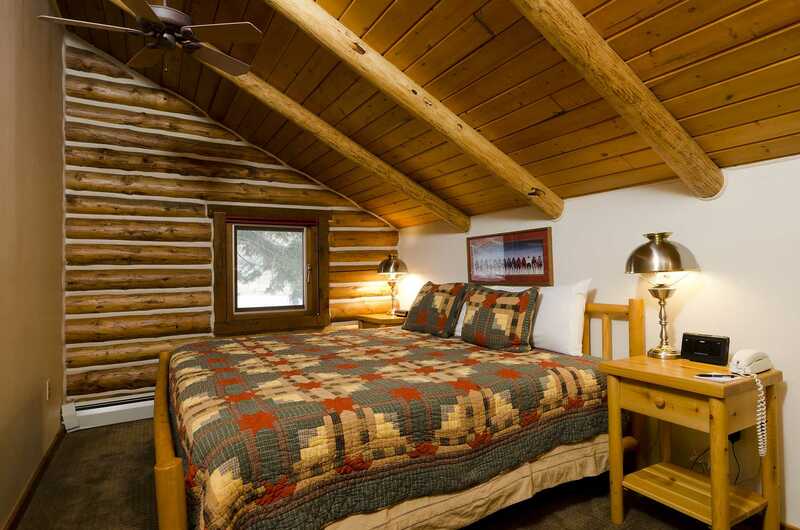 The Ponderosa Lodge sits just under the Steamboat Gondola high above the valley floor and takes its namesake from the grand Ponderosa Pine tree in the front yard. 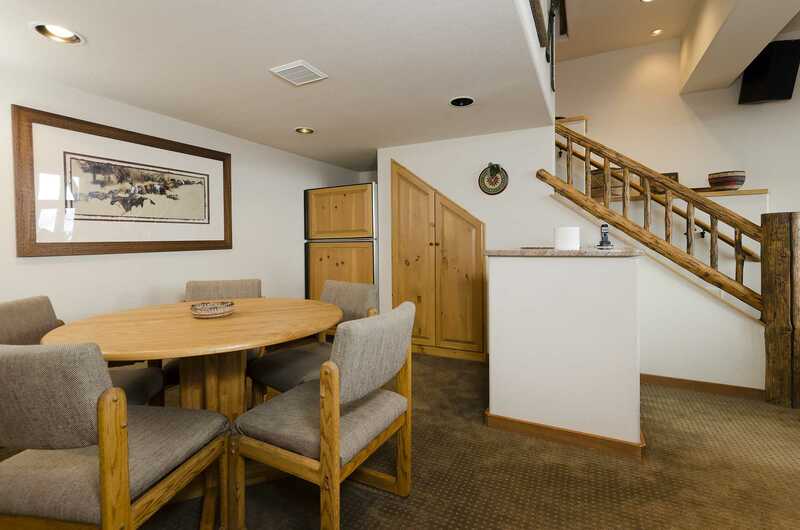 Built in the early eighties and extensively remodeled and expanded in the nineties, this home has rarely been available as a nightly rental. 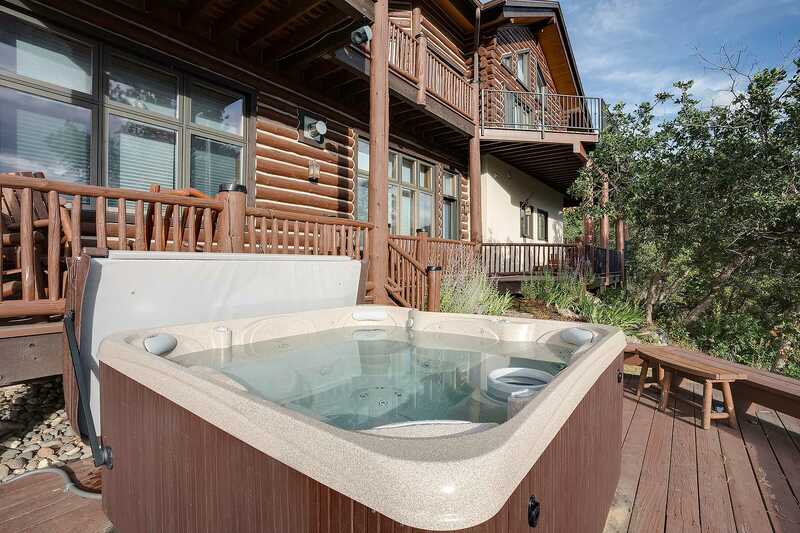 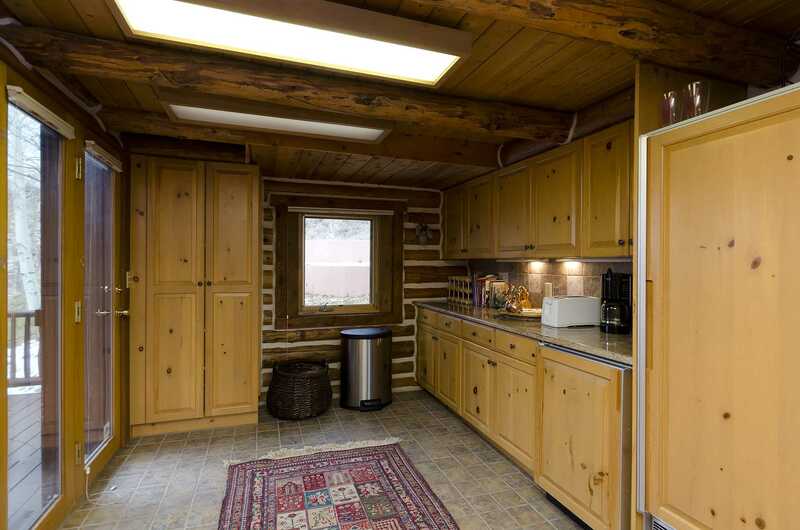 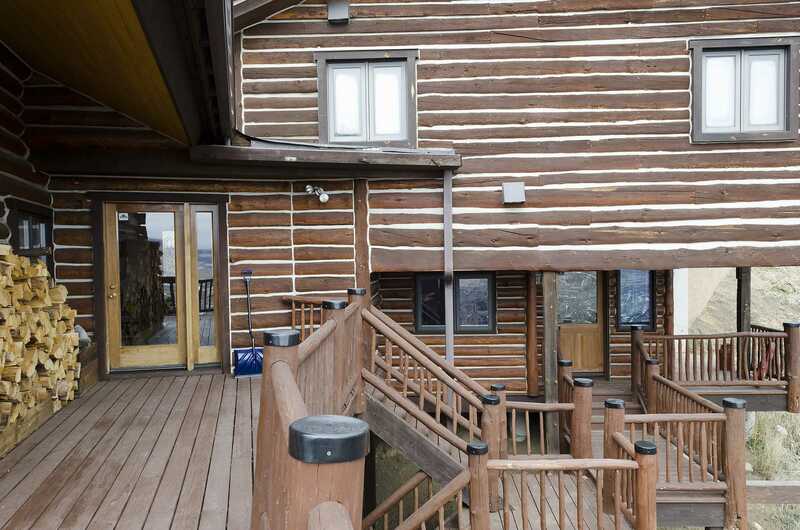 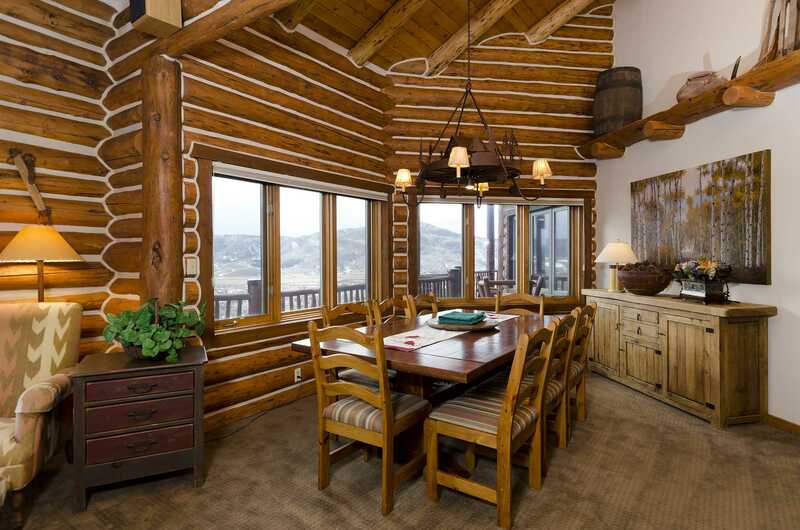 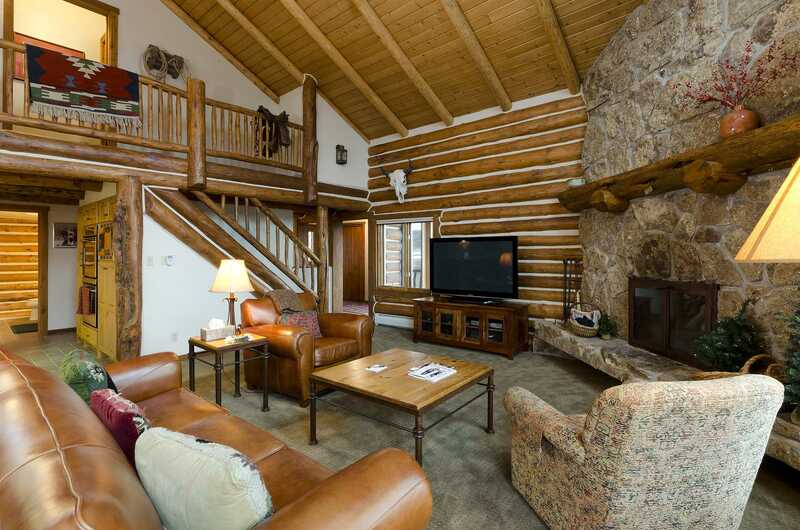 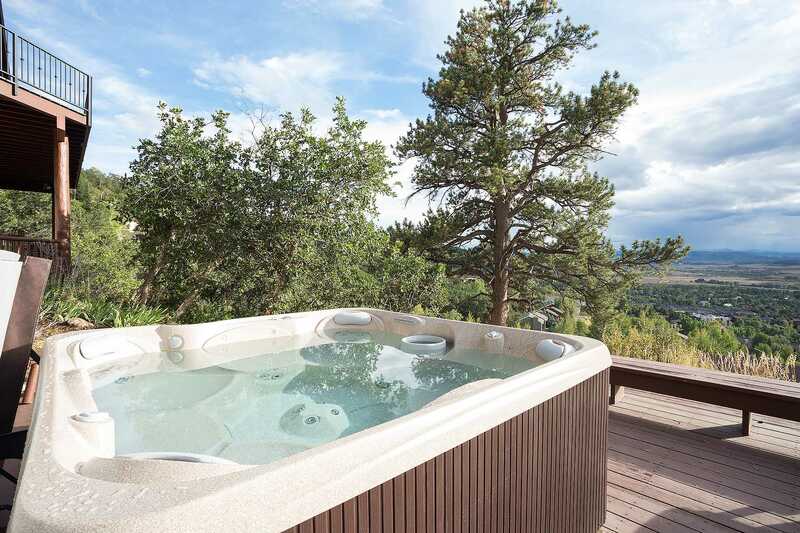 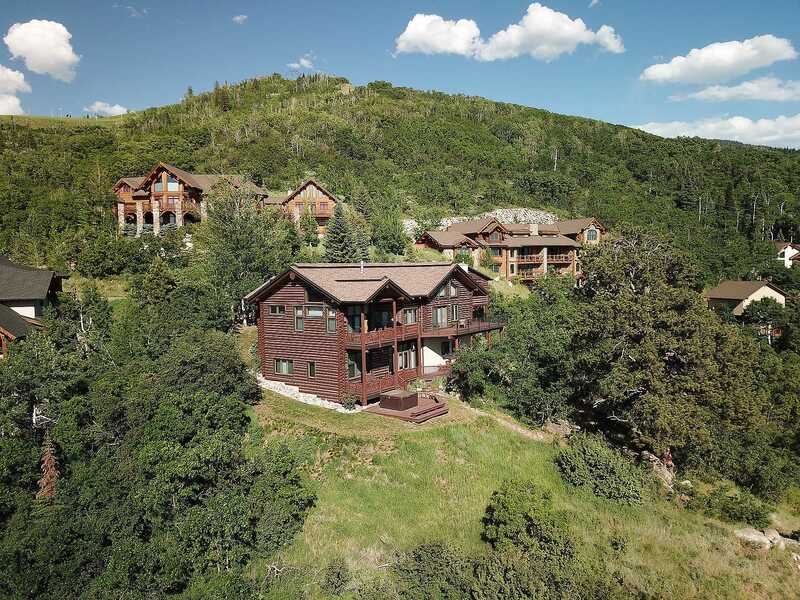 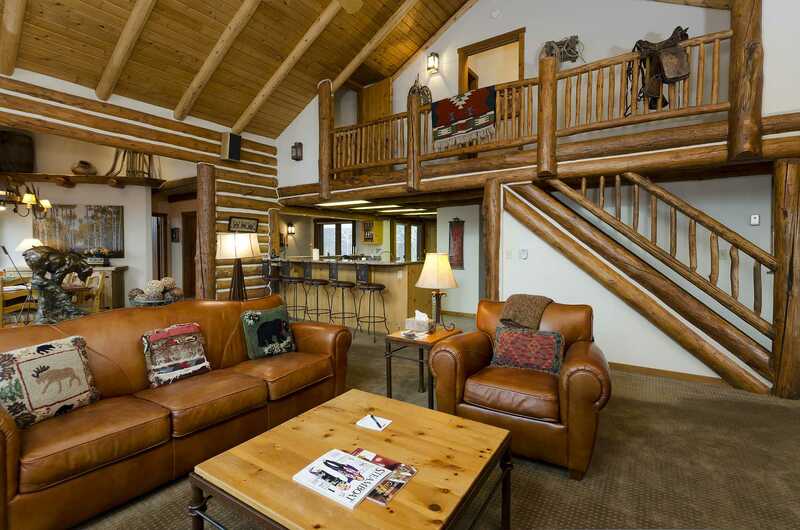 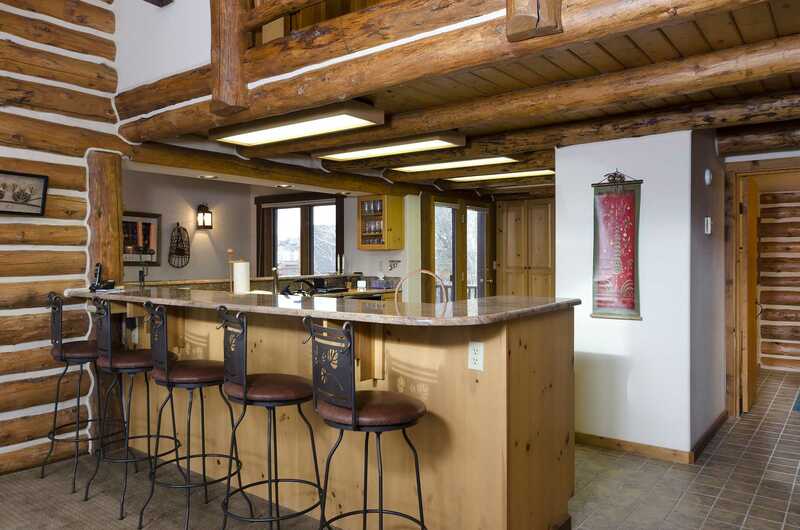 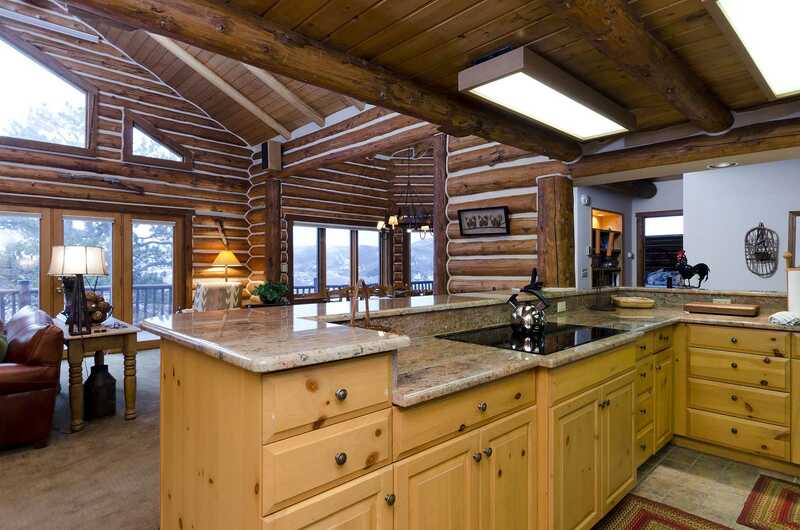 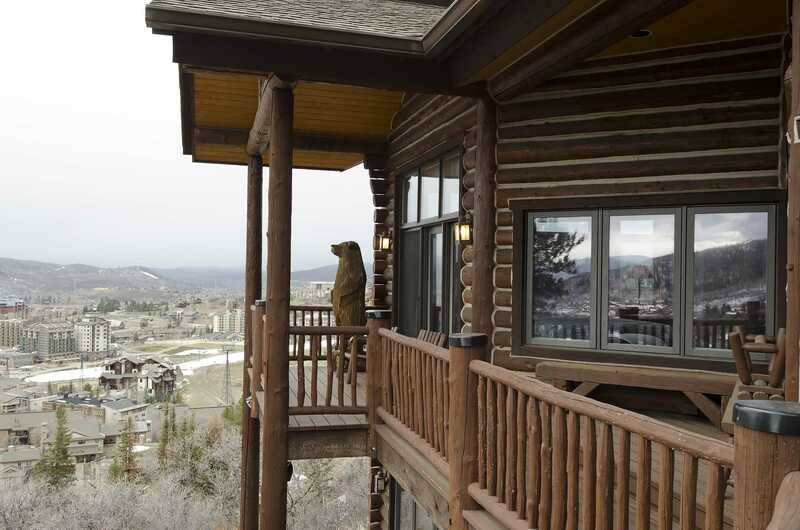 On three levels with over 6,000 square feet, this beautiful log home has 6 bedrooms, 4.5 bathrooms and sleeps 14 people comfortably. 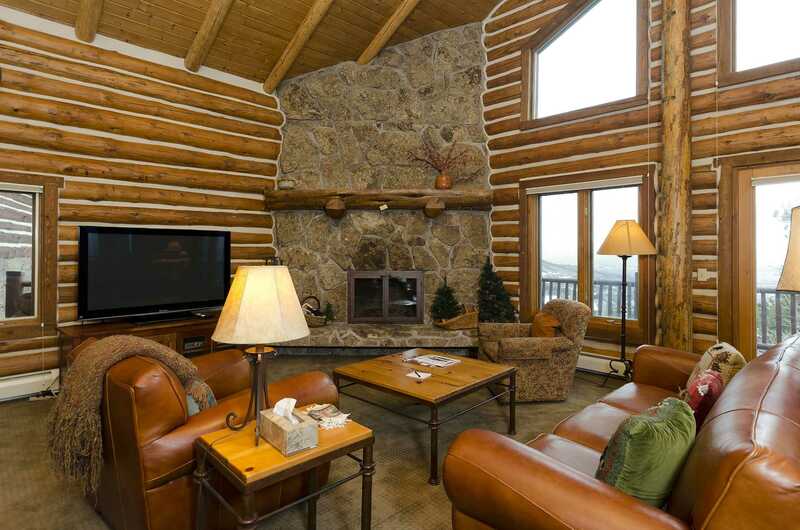 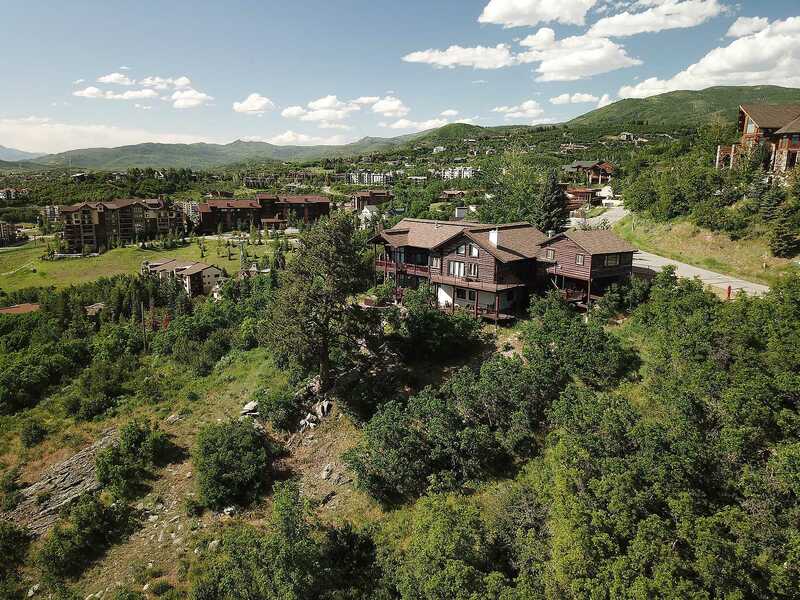 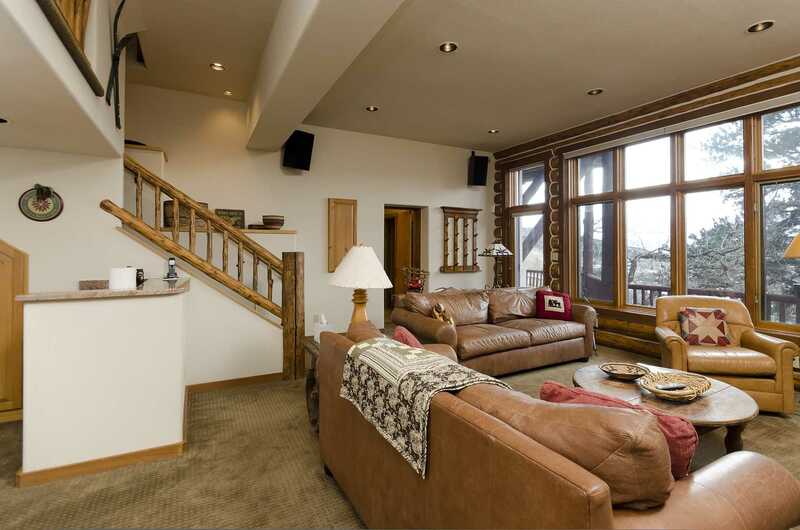 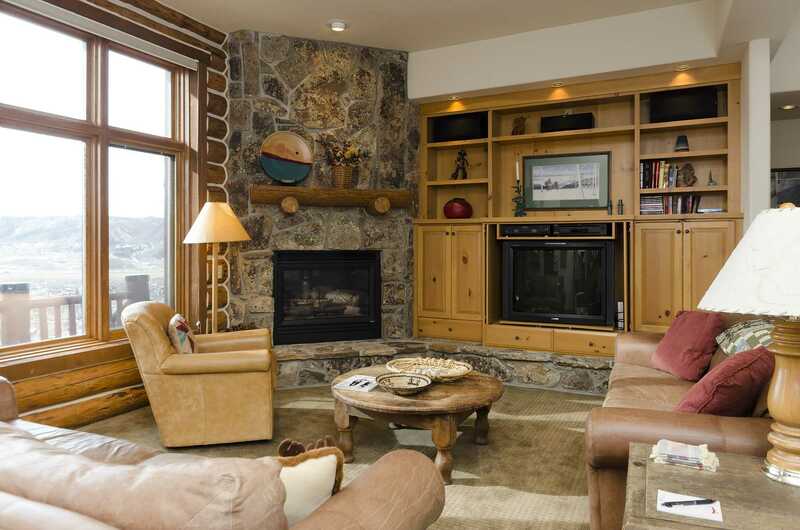 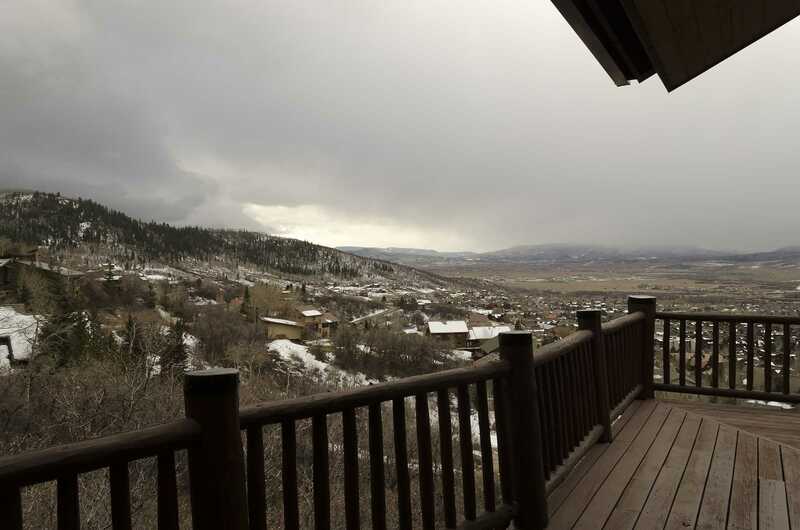 The main level features a large living area with a wood burning fireplace and incredible views of the entire valley. 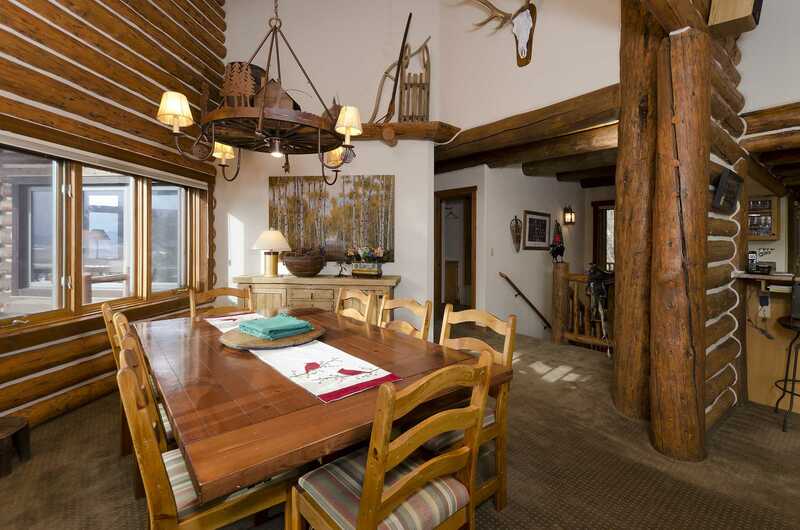 Off of the living area is the dining room that can accommodate 12 people. 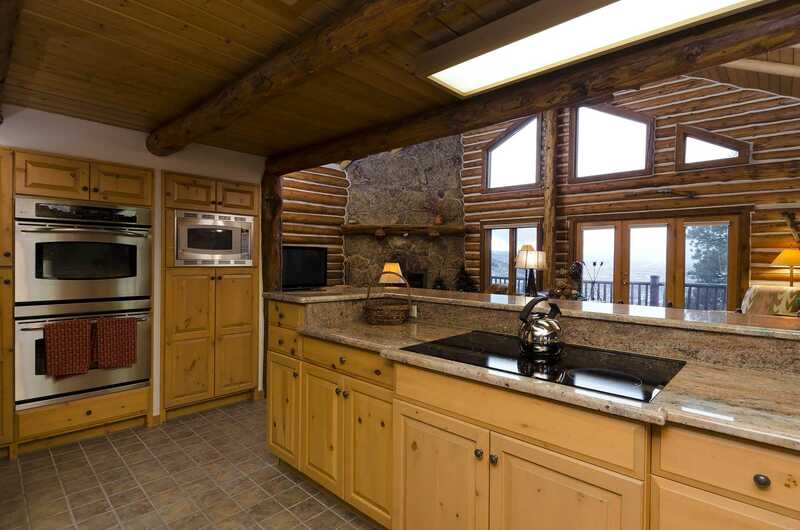 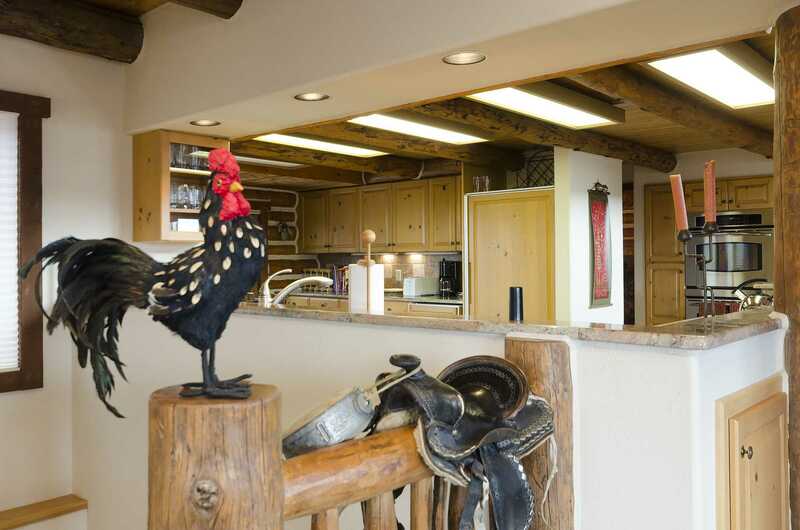 There's a large kitchen with granite counter tops and everything needed to cook a family feast. 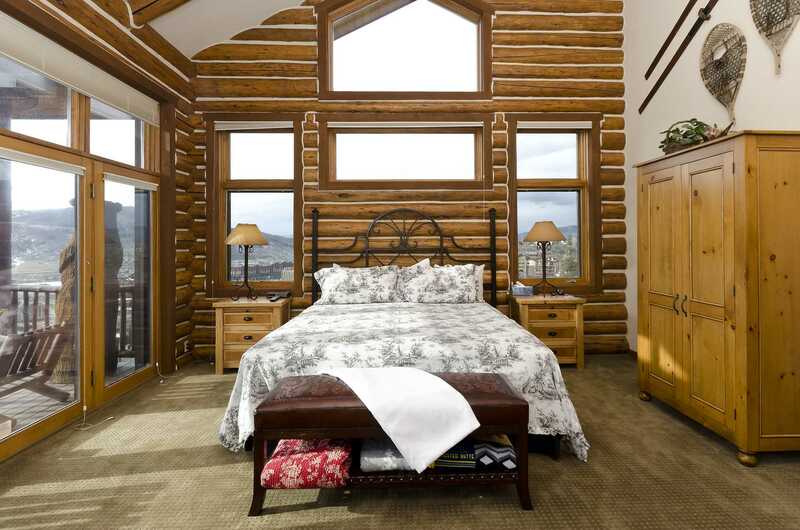 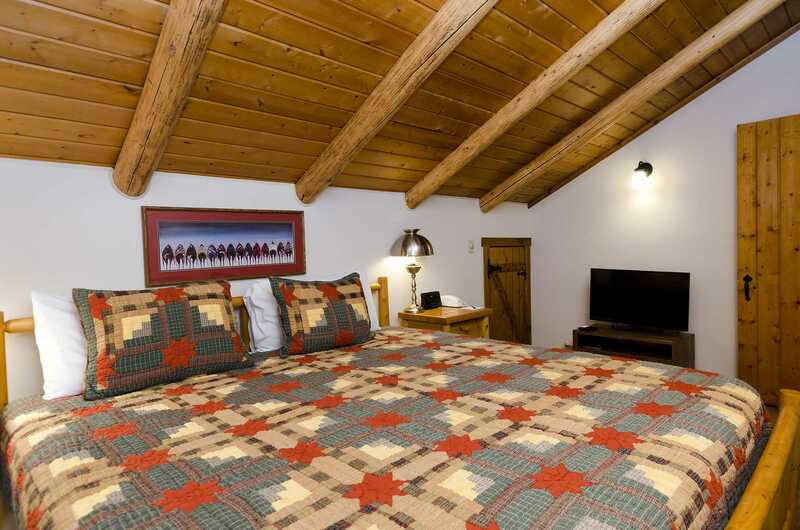 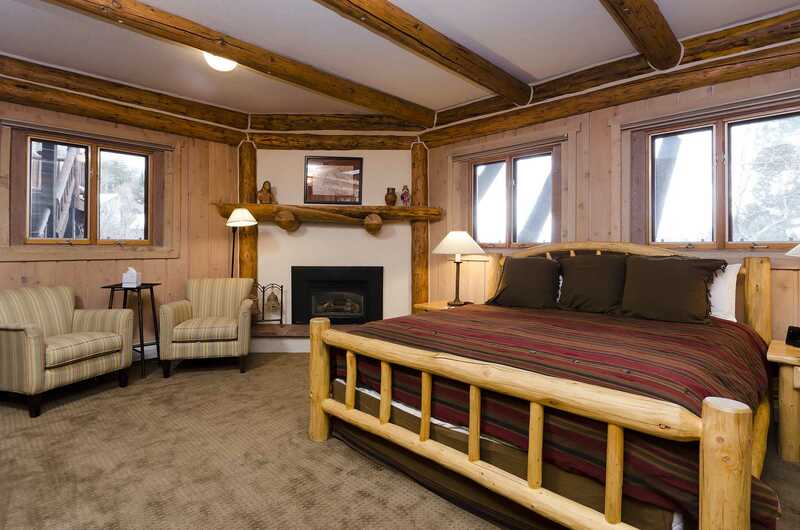 The master suite is on this level with a king bed and its own gas fireplace. 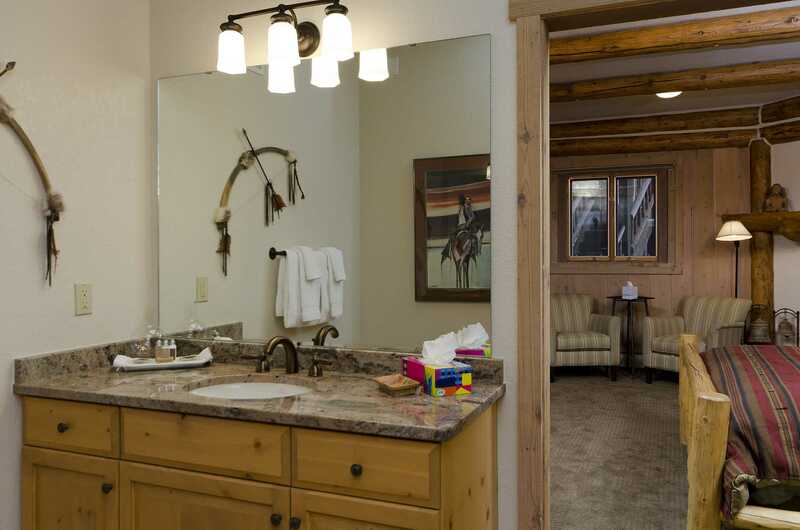 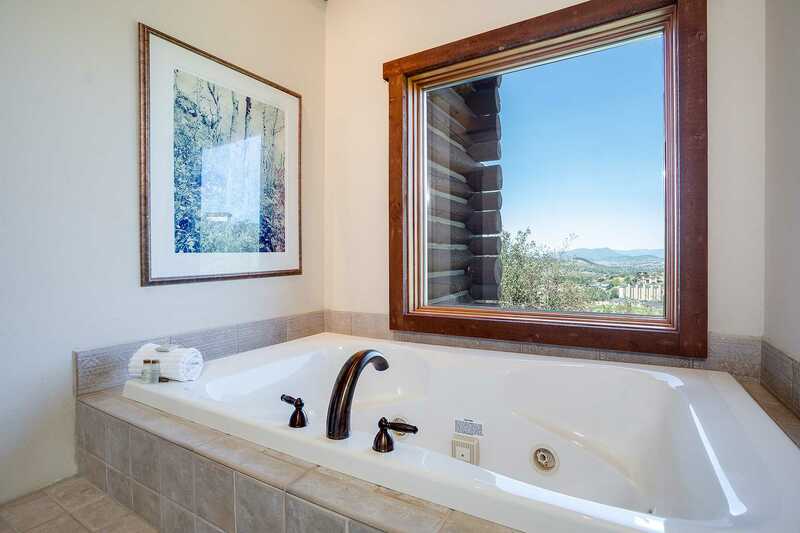 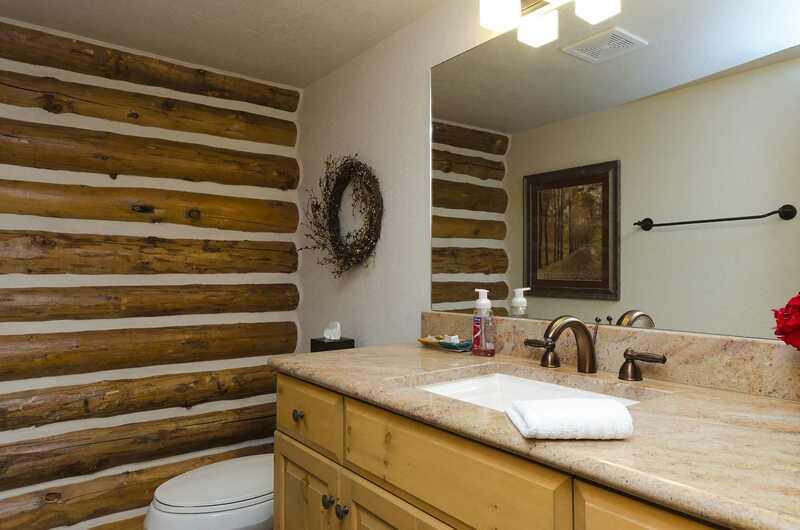 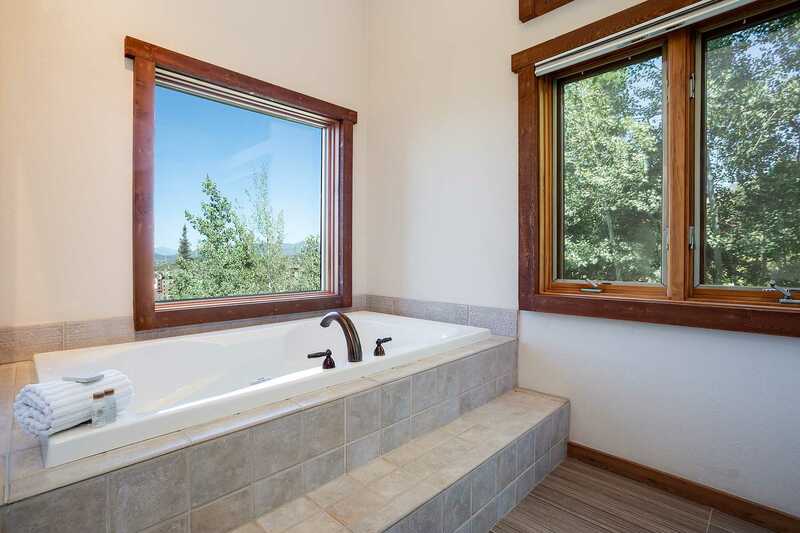 The master bath features double sinks and shower heads along with a Jacuzzi tub. 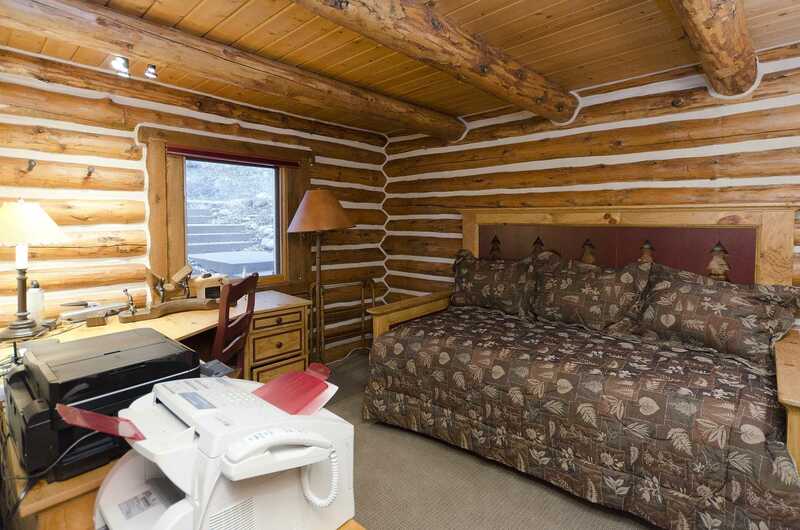 There is also a half bathroom and an office with a pull out queen bed on the main level. 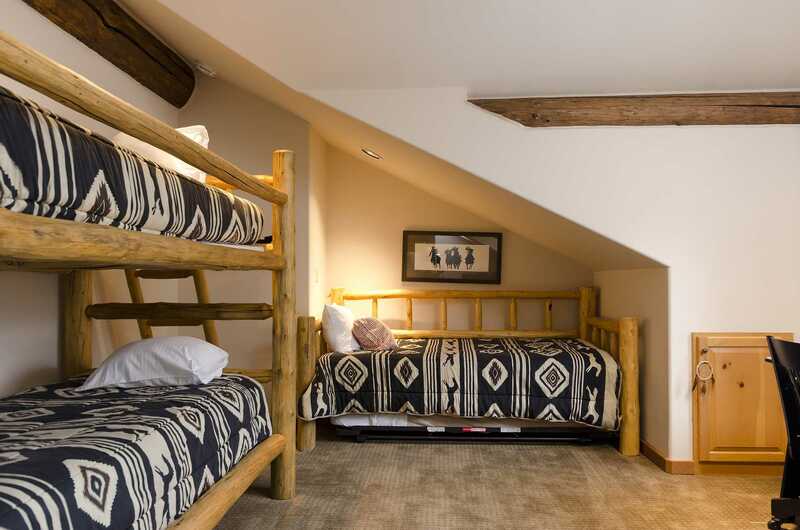 The upper level has two bedrooms, one with a king bed and the other with twin sized bunk beds and another twin bed. 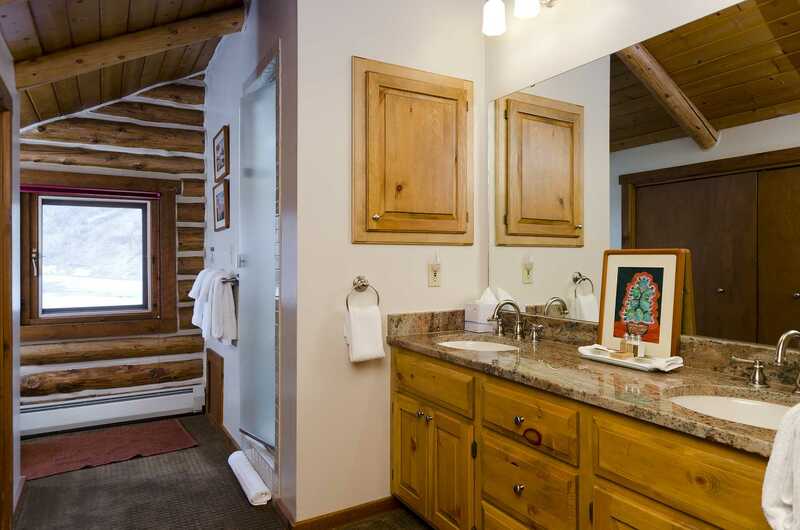 These two bedrooms share a bathroom with two sinks and granite counter tops. 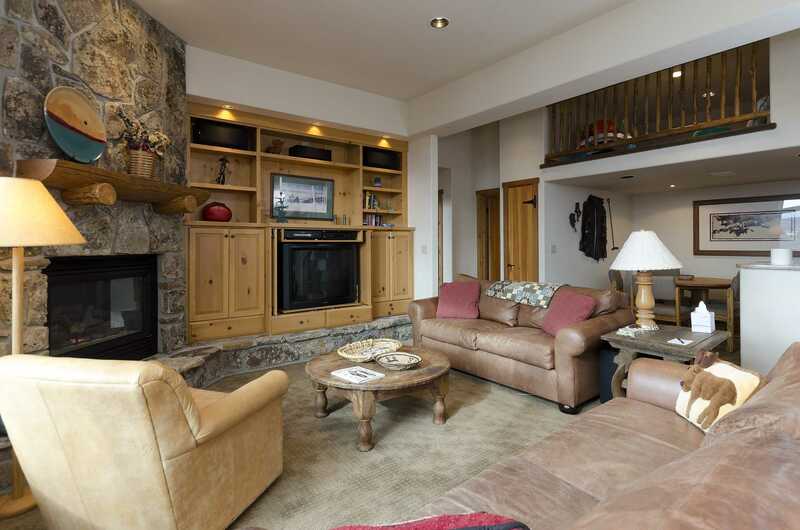 The lower level features another large living area with its own gas fireplace, large TV, bar with refrigerator, and a closet full of games. 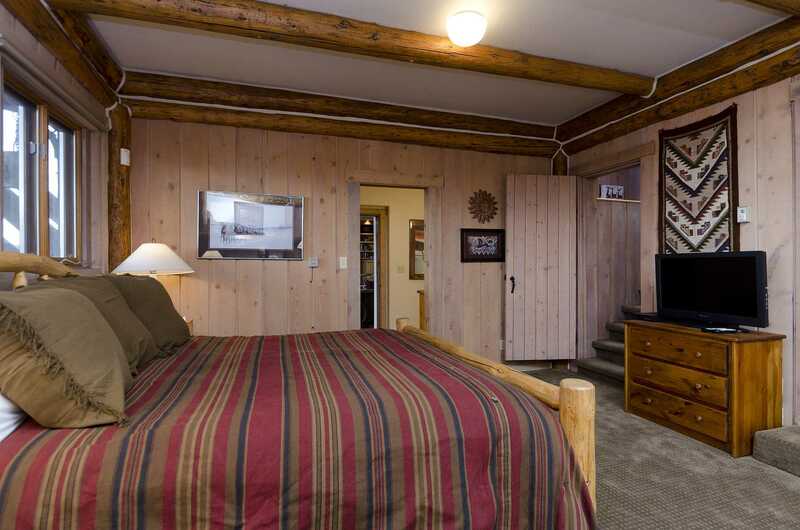 There are three bedrooms on this level. 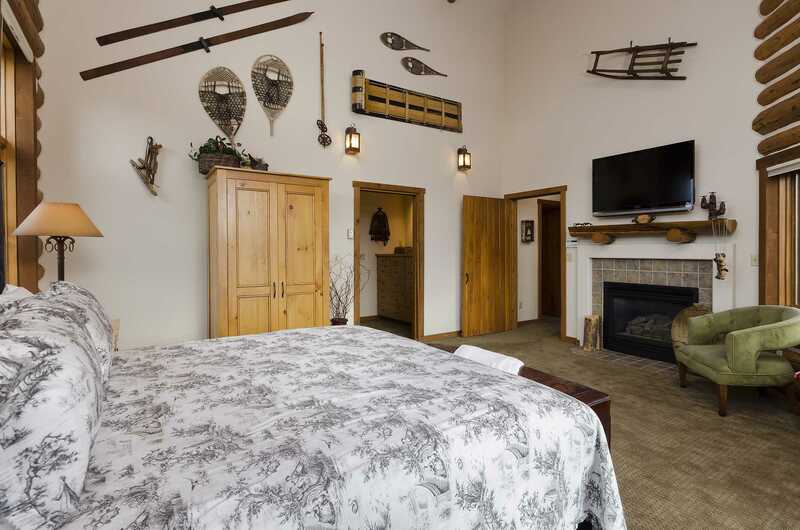 The first bedroom has a king bed and its own gas fireplace. 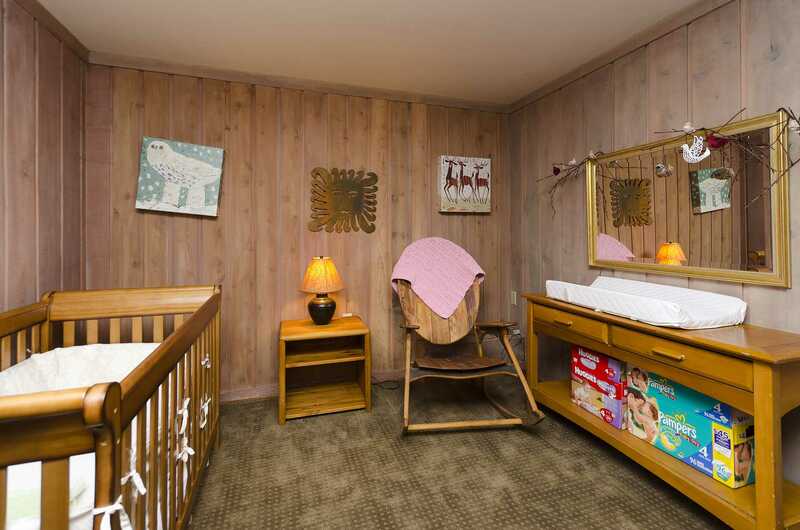 Off of this bedroom is a small windowless room with a crib and changing table. 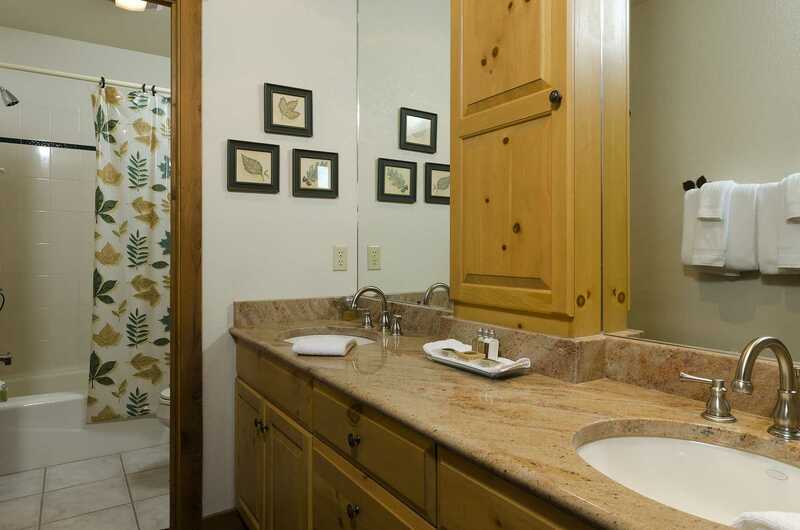 A bathroom with two sinks and a granite/tile shower connects this bedroom with the downstairs living area. 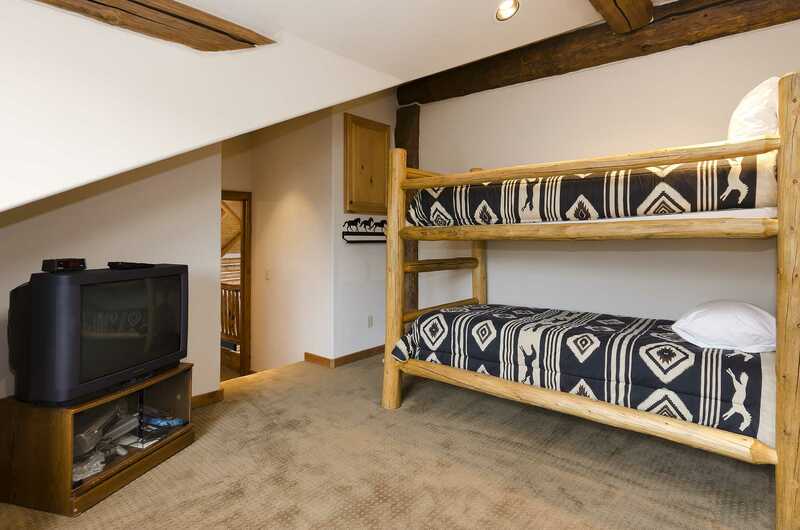 There are two more bedrooms on the lower level. 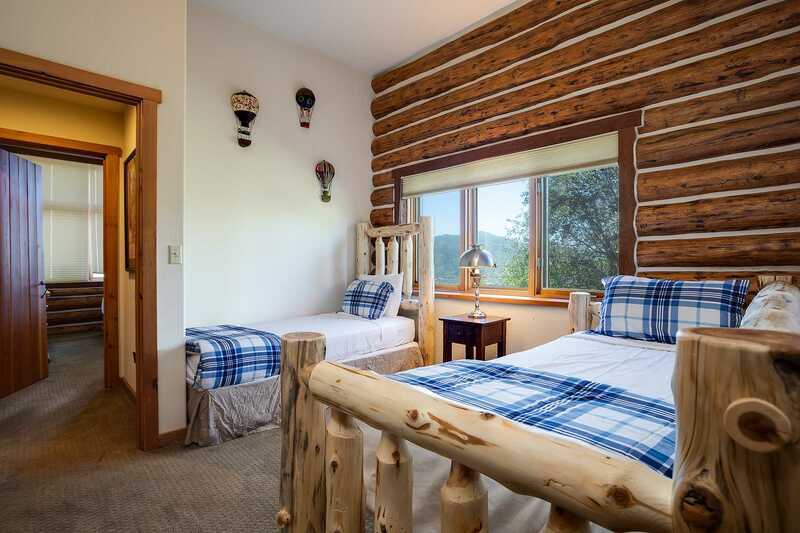 One offers large windows with excellent views and a queen bed, while the other features a bunk bed (twin over full) and a separate twin bed. 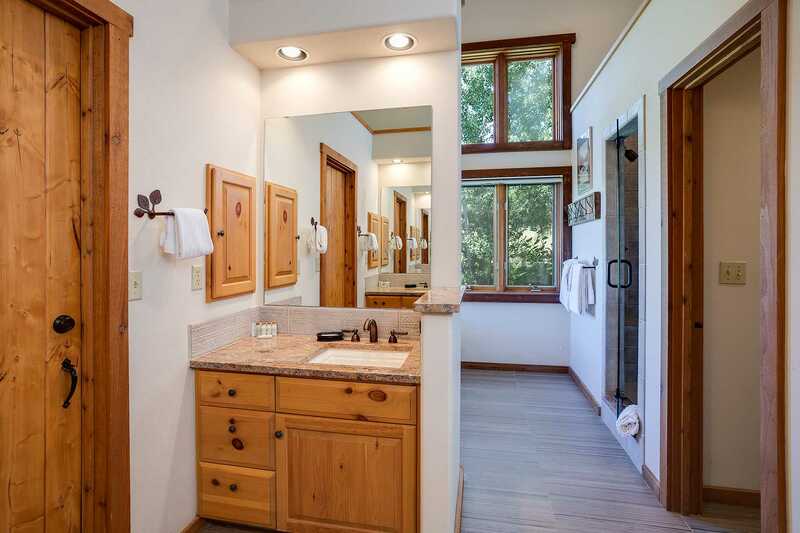 These bedrooms share a bathroom with 2 sinks and a shower/tub combination. 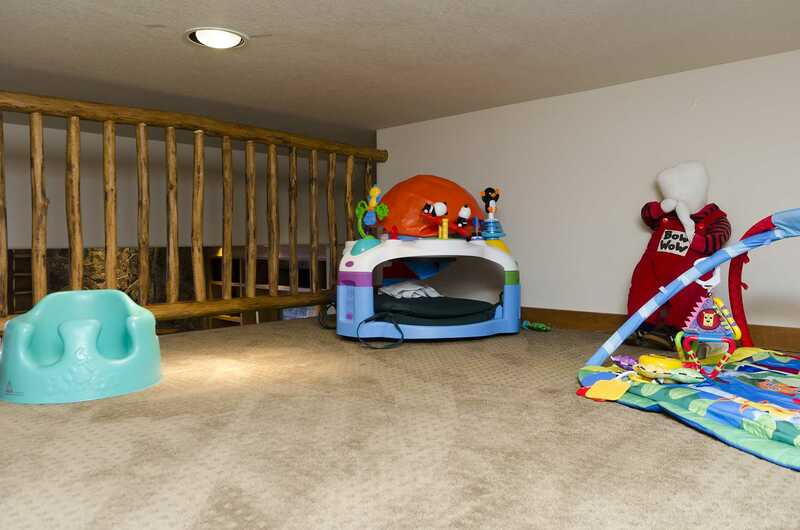 There is also a kids loft on the lower level where the young ones can play. 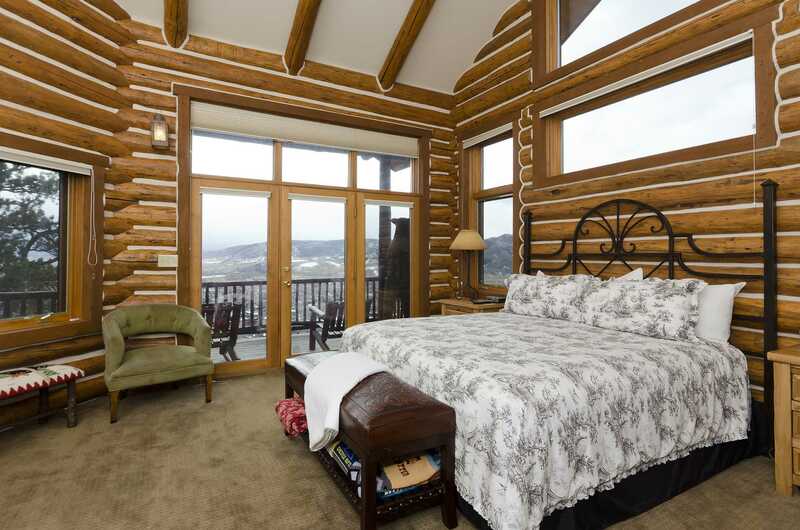 Every window has majestic views and the extensive southern facing decks feature plenty of deck furniture. 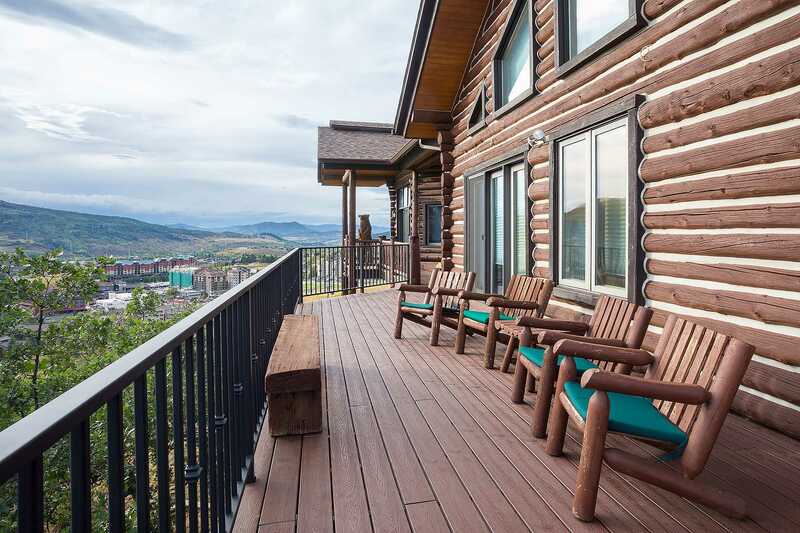 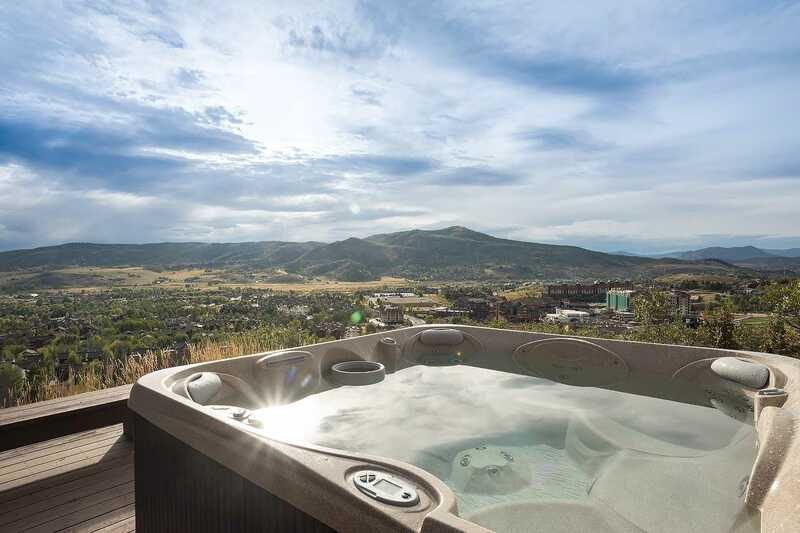 The perfect location for viewing the Hot Air Balloon Rodeo or Fireworks from Howelsen Hill. 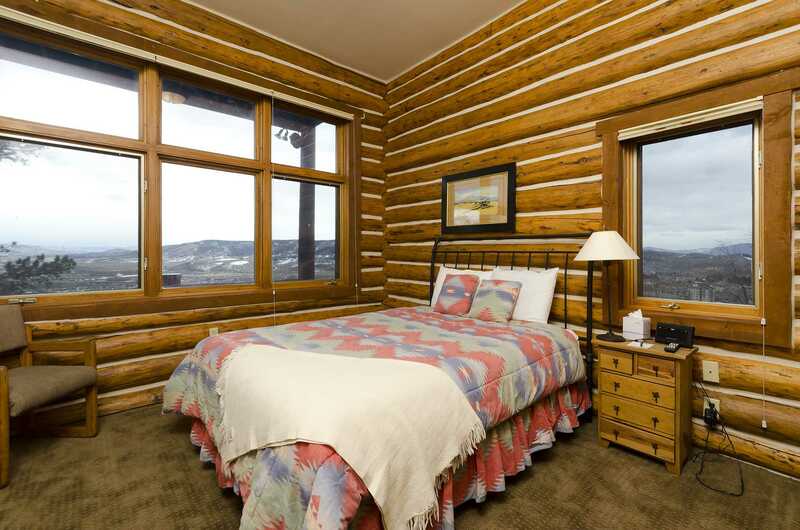 Reference the availability calendar below, then use the form to calculate rates, confirm dates and book POND online. 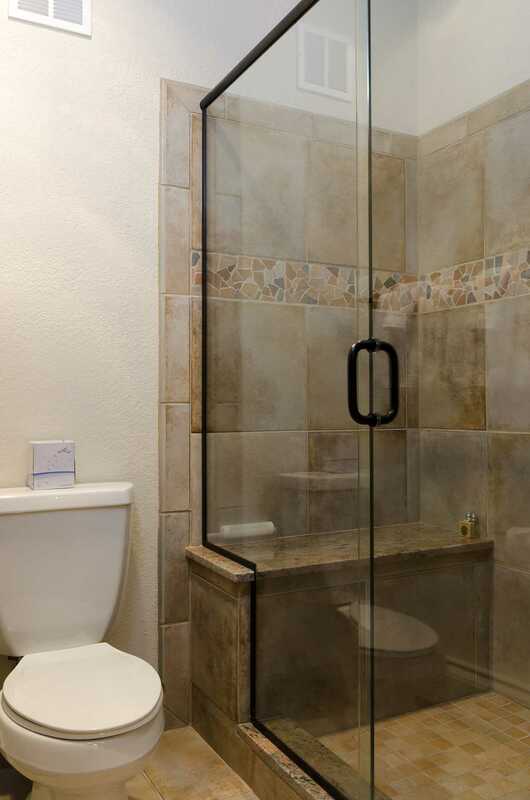 You may use the form to your right to search availability and check rates of all private home rentals. 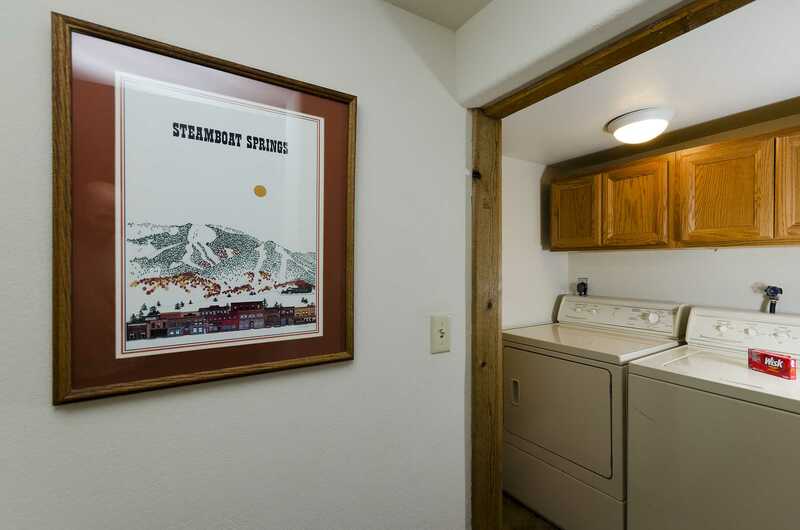 There is a $255 cleaning charge (plus tax) added to all stays this property.